For centuries, people speculated about where water comes from and where it goes. Sure, we have rainfall, and sometimes plenty of it, but that does not account for most of it. Some of the ancient Greeks thought there could be a huge underwater lake that supplied the water into the ground. It was not until 1674 that a more accurate understanding of the hydrologic cycle was determined. Interestingly, bits and pieces of the water cycle are described in the Bible in reference to our Creator's work. While the writers were not attempting to write a scientific treatise, their comments were still accurate. That's what happens when the Bible refers to scientific matters, it's always right. After all, Matthew Maury read about the "paths of the seas", which lead him to important work in oceanography. Perhaps if folks put the verses about the water cycle together, we may have known more details about it sooner. Every living organism relies on water to survive, and the distribution and movement of water (known as the water or hydrologic cycle) is taught from primary school through to university. This pattern of water movement is well understood. Water evaporates, condenses in the clouds, and then returns to the earth as precipitation (rain or snow). Some soaks into the ground (infiltration) and is stored as soil water and groundwater. From there, it is transpired back into the atmosphere by plants. 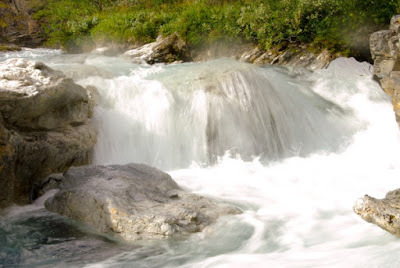 Some becomes stream flow, eventually making its way back into lakes or the ocean. An obvious enough process, but did we always understand it? To read the rest of the article, click on "The water cycle — H2O goes with the flow".